Does your plant need first aid? Uncertain what deficiency your plant is suffering from? Ryzofuel is Australia’s leading brand of root stimulates. Cyco Potash Plus strengthens plants and aids in water retention which improves yields and transportability. Cyco Suga RUSH may enhance flowering when used in hydroponic and soil-free systems such as cocopeat. 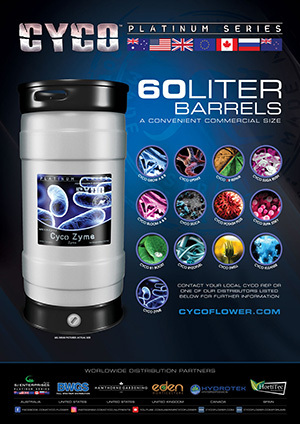 Cyco Swell plays an essential part in photosynthesis, plant maturation, aids in Withstanding stress; increasing growth and encouraging bloom. Cyco Uptake may increase micro nutrient uptake. 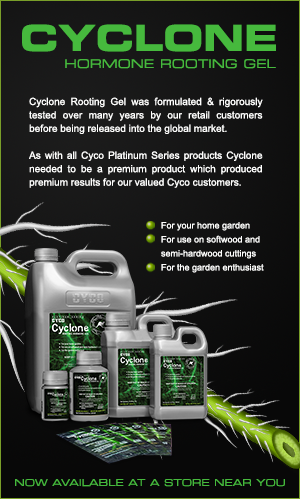 Cyco XL used in the early stages of growth. Cyco Platinum Series Supa Stiky will help increase plant resin production and also aid in fruit size and fruit quality.